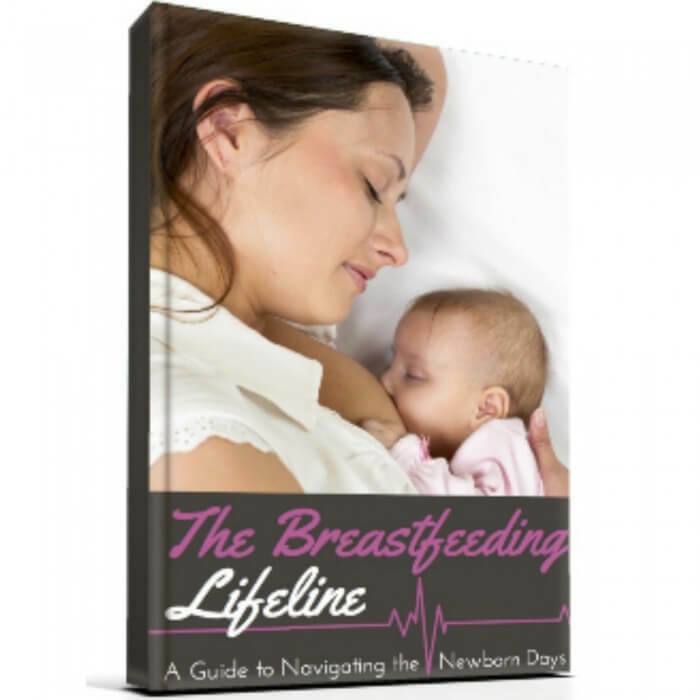 There is no such thing as infant sleep, there is no such thing as breastfeeding, there is only breastsleeping. Have you ever hesitated to answer for a moment when asked whether baby is sleeping through the night? Or whether you co-sleep or use a crib? Do you worry that you’ll have to explain or justify your nighttime parenting style? It’s no secret that bed sharing (also called co-sleeping) is a controversial topic. Sleep decisions are often made stressful by the official recommendations of organizations like the American Academy of Pediatrics which forbid any kind of same-surface sleep with infants, and the contradictory cultural customs and common parenting practices that many of us engage in. In fact, studies based on questionnaires given to parents report that somewhere between 45% (in a study done from 1991 to 1999) and 85% (this number was gathered from a survey given to 200 mothers, 93% of whom breastfed) of us share a bed with our babies at least some of the time. With the knowledge that so many people are still sleeping with their little ones (whether or not they intended to or will admit to it publicly), Notre Dame anthropologists James McKenna and Lee Gettler published an article last year in Acta Paediatrica to give us a new tool – a new term – to help us move forward in the pursuit of safe and comfortable sleep for mother and baby. absence of all known hazardous factors. Their article outlines the many reasons that there needs to be a term to distinguish breastfeeding while co-sleeping from other types of bed sharing. While organizations like the AAP stress that sharing a bed puts babies at a higher risk for SIDS, suffocation, and strangulation, McKenna and Gettler propose that these risks are not the same for breastfeeding mothers as bottle-feeding mothers, and that the benefits of breastsleeping may outweigh those risks. It is established that breastfeeding reduces the risk of SIDS, and that exclusive breastfeeding provides even greater protection. Bed-sharing doubles or triples the number or breastfeeds per night, and can make a dramatic difference in how much rest nursing mothers get. Both of these things increase the likelihood that a mother will be able to maintain an adequate milk supply. If breastfeeding reduces the risk of SIDS, and co-sleeping facilitates more breastfeeding, then the authors propose that it is reasonable to create a new category for breastfeeding co-sleepers to re-assess the risk of SIDS accounting for the variables of that group specifically. McKenna and Gettler point out that “breastsleeping dyads behave… much differently than non-breastfeeding co-sleepers.” Breastfed babies tend to sleep at the mother’s chest-height rather than up near dangerous pillows and headboards. Breastfeeding mothers usually curl their body around their baby, and are aware of baby’s movement toward the edge of the bed or other occupants. Breastsleeping infants also move around less in their sleep, as they prefer to stay close to their source of nourishment. The mother’s body remains the only environment to which the human neonate–infant is adapted. The anthropologists assert that this new descriptive term is needed to help parents make more informed decisions about nighttime parenting, and feel freedom to ask caregivers for advice without hiding their current practices. There is some evidence to suggest that mothers who are afraid to co-sleep may be more likely to fall asleep with their infant in precarious positions on couches or rocking chairs. And mothers who bring their baby into their bed as a last resort may not have educated themselves on the safest ways to sleep with an infant. Bottlefed babies should sleep near their parents, but on a separate surface. Parents under the influence of sedatives, drugs, or alcohol should never sleep with baby. Very long hair should be secured back and away from baby to prevent strangulation. Obese parents may wish to use a co-sleeper or other nearby surface for their baby. Mothers who smoke should not sleep with their babies. Infants should never sleep prone (on their stomaches) or with their head covered by blankets or stuffed animals. McKenna and Gettler believe that by making the term breastsleeping an accepted part of our parenting vocabulary, more families will gain access to these guidelines and be able to make the very best decision for their individual circumstances, which may in fact be breastfeeding their baby in bed throughout the night. Do you think there is a real need for a new term? Is nighttime parenting something you would feel more comfortable discussing with your care providers if this term was part of mainstream dialogue? If this were a mainstream term, it would describe my son and I perfectly! I’m a nonsmoking, breastfeeding mother who currently only sleeps with my kids in the bed. Baby sleeps in the crib for naps and when I’m not in bed to keep him safe. It would definitely remove the stigma and embarrassment I feel now when admitting I bed share. My husband and children have always marveled at how babies can sleep and nurse simultaneously! 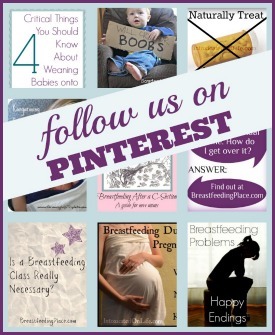 Breastsleeping isn’t the perfect term! Oops Breastsleeping IS the perfect term?? I’m a first-time mom, so please no judgments as I am learning more every day. My son is now 5 months old. When he was born I was strongly cautioned by doctors & nurses to never sleep on the same surface as my baby. So I became one of those you mentioned who would ACCIDENTALLY but often fall asleep with my newborn while nursing in a rocking chair. I thought that, even though it was never intentional, falling asleep with him in the chair was still safer than the bed because the only warning I had been given was about the bed. I’ve obviously learned since then that the opposite is true and co-sleeping IS normal for many moms and not something you can be arrested for. (Yes, I genuinely thought there was a chance if I’d sleep with my baby & was discovered that I could be charged with abuse or neglect, since I’d be purposely doing something the doctor told me not to.) So although I feel like I am, and very well may be, the craziest and apparently least educated first-time mom out there, I do feel there is a need to “name” this practice, so women know there are reasons to sleep with her newborn, and so she can be taught safe ways for doing so. Thank you for sharing your story, Abby. This is a great illustration of exactly why these doctors are working to chance the perception of co-sleeping. You are by far not the only person who ended up sleeping with their baby in a less-than-optimal situation because they were afraid of bed sharing! It’s important for us mamas to remember that if we are struggling with or worried about something, we are likely one of very many people just like us – our culture sometimes makes us feel isolated in our worries with the reality is that we all have so very much in common! I have two beautiful, and intelligent children. 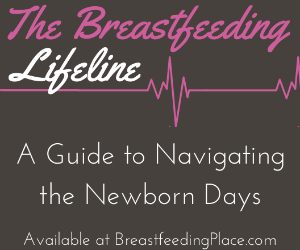 Thank goodness, I found a good pediatrician, and he guided me to La Leche League. Our beautiful daughter started sleeping with us and we all slept and felt refreshed the next day. She was right between us. There was no time in the rocking chair at night, no burping. No, she was right where she belonged. Sorry that should say “another country,” not a mother country! 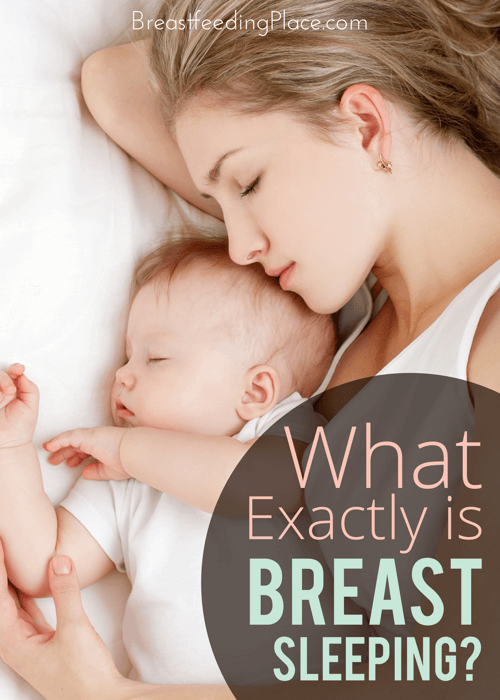 The only part of breast feeding while sleeping? My children had massive ear infections. That’s why the baby needs to have their head propped up. Like when you bottle feed them. Their ear canals do not tip downwards. So, the milk stays in the ear canal and festers. I worked during the day. I was too exhausted to sit up and feed my babies. But I regret co sleeping because of the ear drum damage! I absolutely think breastsleeping needs to be well distinguished as a different practice than cosleeping. I have exclusively slept with, and breastfed my son since the day he was born. We tried for weeks to do things “the right way” and it simply doesn’t work. As a result of the huge stigma i outright lie to my pediatrician because she is not supportive. Being a first time mom and trying to get the hang of breastfeeding is hard enough without professionals undermining your maternal instincts.